The highway to Pointe-Noire winds it’s way up and over a genuine mountain pass – at times steep enough for 2nd gear in the Jeep. Technically the road is two lanes in each direction, though continual broken-down trucks and extremely slow vehicles make for some interesting hairpin corners. I see evidence of brake failure in multiple places where trucks have gone straight through sharp corners, either off the mountain edge, or straight into a wall of rock. A local I spoke to said it used to take days slogging through the mud to drive what takes me hours. Pointe-Noire itself is a massive city. Driving in I get stuck in a massive traffic jam in the slums and bustling street markets, where the pavement is cracked and broken and people wade through knee deep trash. As I get closer to the centre I am shocked to find a very modern city. There are glittery high-rises, supermarkets, cinemas and bowling alleys. When I squint my eyes I could easily be in a big city in Canada or the US. I am completely shocked to see such a modern city – I had no idea Congo is like this. Yet again Congo dishes out the unexpected. “Oh yeah, it was the same here last week. It might be the same again tomorrow”. He does not seem phased in the least. Through the Overland grapevine I have learned of a very friendly man named José, who runs a hole-in-the-wall bar/restaurant in the city. I have no trouble finding him – he is the larger than life character speaking a mile-a-minute with a huge grin permanently plastered on his face. 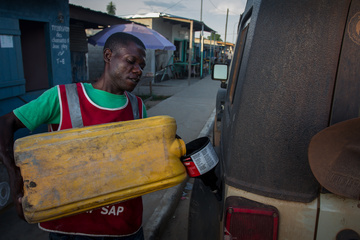 José is originally from Portugal, and has spent decades living in the DRC, Congo and Angola. He is full of stories of adventure, and I continually encourage him to tell more. 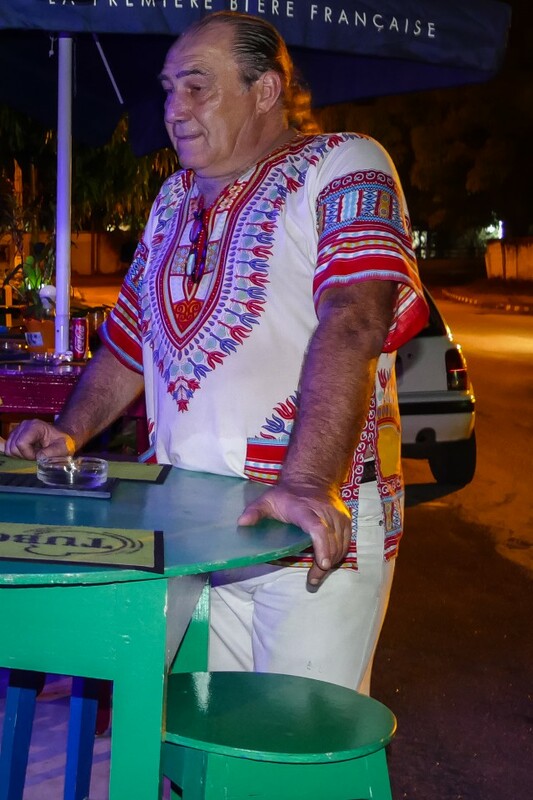 Because José speaks Portuguese, French, English and a couple of local languages, and because he is the friendliest and happiest person in the world, he is friends with basically everyone in town. Everyone that is, including the Angolan Ambassador. The Ambassador just happens to stop in at José’s bar every week or two for the Portuguese beer José proudly sells. Over a couple of these delicious beers and fried chicken, we formulate a plan together. José obviously enjoys someone new to talk to and hearing stories of my adventure and so he is more than willing to help with my Angolan visa application. In the mean time he sets me up with a great place to camp on the beach. His buddy Pascal runs an enormous restaurant, and is happy for me to camp in the guarded parking lot. Pascal’s place defies belief, with seating for at least a couple of hundred people. 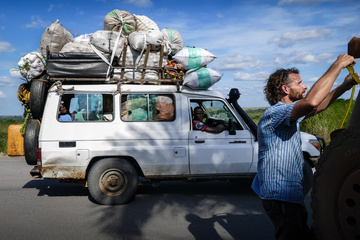 Pascal has also lived in Congo for decades – and loves it – though he talks about how it was so much better even just five years ago. The government is now strangling businesses, and the people have no money to spend. His place is obviously the ex-pat hangout of choice, and I soon meet stacks of foreigners living and working in and around Pointe-Noire. Many are in oil and gas, though there are plenty involved in every conceivable kind of business. As if Pascal’s place is not already paradise – he sells wood fired pizzas. With real cheese! Again, real cheese is something I have not even seen for many, many months. Congo is spoiling me. 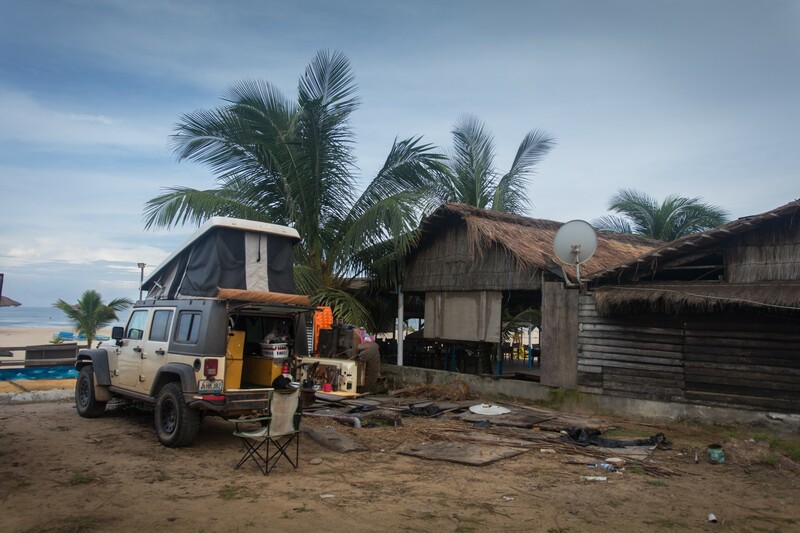 The Embassy only accepts applications on one day of the week and the application will take at least a few days, so I settle into my beach-side camping. 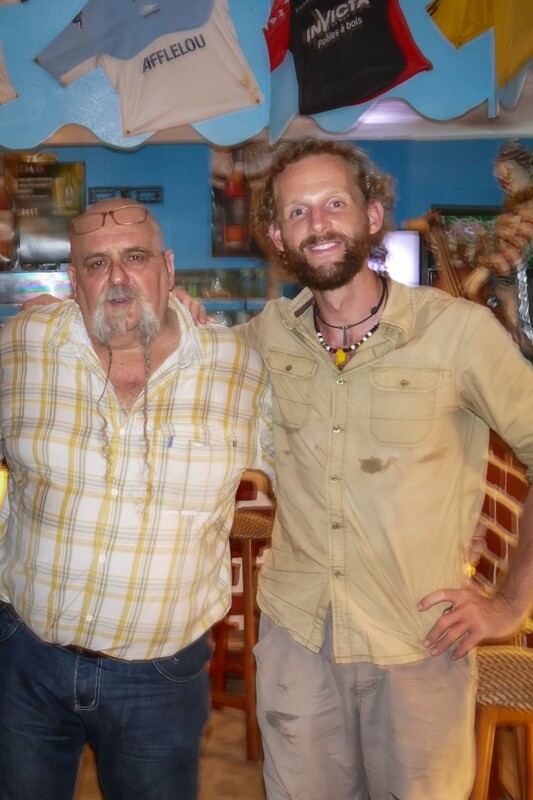 I head over to José’s bar each night for cold beer and to here more of his amazing tales of exploring this part of the world. I especially love his stories about his days running a cargo boat upstream from Kinshasa in the DRC on the Congo River. Back in the day it was safer than Switzerland, he says. He also flew planes in the Angolan civil war, which as you might guess, came with it’s fair share of misadventures. Fingers crossed I will soon get the last visa I need for the West Coast of Africa. If not, well, I don’t know. please say hello to Pascal, I was one of his first customers. I spent many good times there. He is from the south of France near Brignoles and we talked about where he comes from. As a reminder, I worked at the airport and we enjoyed having Jack Daniels together. He had great food ! Thanks once more for your notes about your trip, so interesting. Will Do! Pascal enjoys good food and good drinks, and it’s contagious! By the way, enjoy Pointe Noire. it is a nice place to be. And go out of town, by the beach. By the way, hope you don’t need a doctor. But just in case, there is a friend who is very good there. Why avoid DRC? When you apply for the Angola visa get double entry. 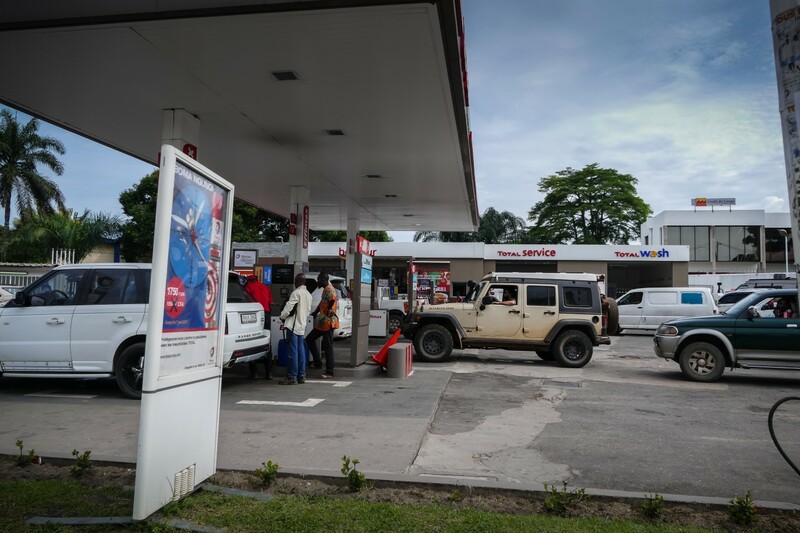 It shouldn’t be a problem to drive from Pointe Noire to Cabinda and then DRC. Muanda-Boma-Matadi-Songololo and then south to enter Angola again. It should also be the cheapest option of all, shipping can be expensive. The DRC is not exactly the most stable or safe country, and driving across from Kinshasa to Lumbashi is a monumental undertaking. I am not prepared adequately for that. I didn’t suggest you take the Kinshasa-Lubumbashi route, that’s far too dangerous lately. The route I wrote goes through the Angola exclave (Cabinda) and then to Matadi. 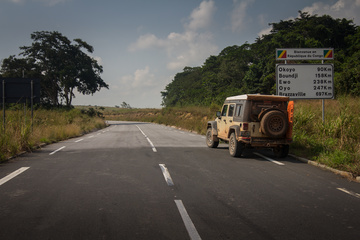 As a secondary option overlanders also take the route through Luozi (ferry) and from there to Angola. Both routes are a good option to avoid the Kinshasa chaos completely. Anyway, whichever way you decide to go I hope you have a good adventure and stay safe. I will continue to follow your travels. The Kin-Lumbashi route is a whole ‘nother thing, for another time. Hola Dan. i have so many question that i would immensely appreciate you could answer me whenever you have the time. i am from Mexico. ive been thinking a lot about doing the exact same trip that you did from alaska to argentina. i just wanted to ask you how much money did you save before quitting your job and taking off. where did you sleep while traveling through the US? cause airbnb´s and hotels can be really expensive and sleeping in your van or camping on some places is ilegal. how did you manage not to freeze while camping in Alaska and Canada. ghoose down sleeping bags?. do you think a honda cr-v 4×4 would be appropiate?. anyway, thanks a lot for your time Dan. you are an inspiration to me and my girl. suerte amigo!! De nada, es fácil para ti porque hablas español. In the US there is lots of national forest where you are allowed to camp for free, there are always campsites in national parks (for a small cost), and sometimes I would just “wild camp” wherever I could. In cities it is very hard, almost impossible, so stay in the wilderness! In Alaska and Northern Canada the sun is up for 20+ hours during the day in summer, so it’s not cold at all! Easily 25-30C during the day, so camping is fantastic! A Honda crv 4×4 will be absolutely perfect for the trip! Do not hesitate to take it!